Hello Beauties! I know I've been away for a while and I feel absolutely negligent... between my birthday and other holidays, October has been a crazy month for me -- but NO excuses. I'm looking forward to playing catch-up in November and have lots of exciting news to share with you! For now, here's a last-minute makeup look for tonight's Halloween parties. Ariels, mermaids, sea creatures -- this one's for you! I'm using all Motives makeup (listed & linked below) & 15-piece professional brush set. My lashes are House of Lashes "Noir Fairy" lashes. Have a fun & safe Halloween celebration!!! Gooood, so beautiful! <3 love it!! Also the blonde in your hair, suits the look so much!! I love how you used the fishnet stocking to create the scales. I never would have thought of that! Beautiful look, as always! Amazing ! the final makeup is gorgeous . You are a true artist, this is simply gorgeous! 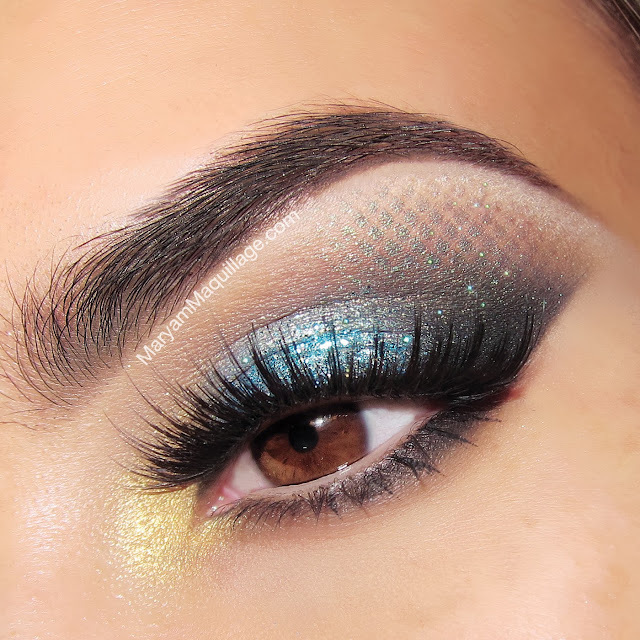 Wow what a beautiful eye make up. 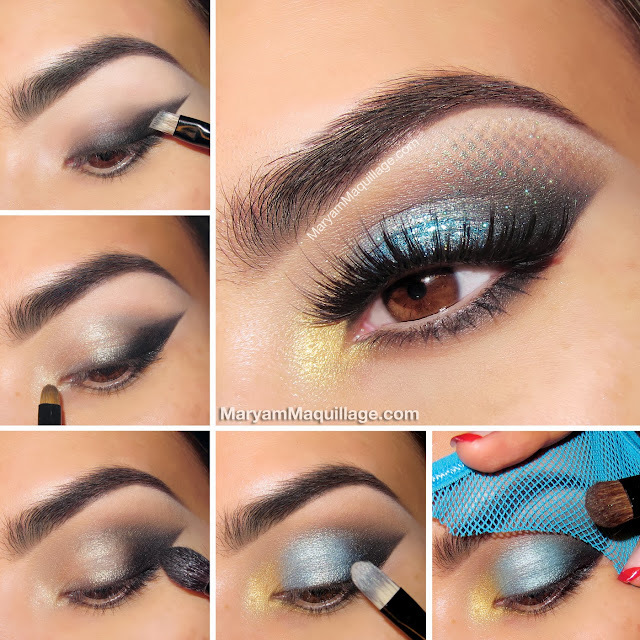 Your eyes look fabulous after this Halloween makeup. I love products manufactured from Motives and use their make up kit when visit to any party or on any happy occasion. But they are expansive one. Last time I have purchased a makeup kit from another manufacturer from below website at a reasonable price. Hope next time I will purchase this superb makeup kit. Fantastic Share!